It's October and time for horror comic covers once again! We start with a famous first appearance in this Spider-Man book of a character that would scare anyone in the Marvel Universe! 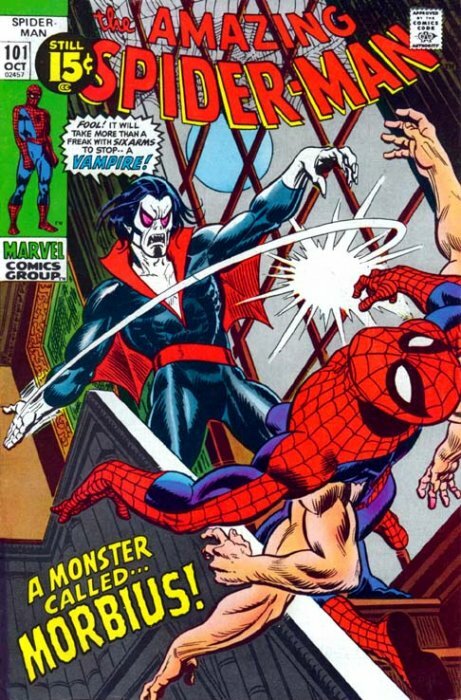 Morbius the Living Vampire first appeared in this very issue and paved the way for other horror characters to come to the Marvel Universe in the years following. Morbius still lurks the Marvel Comics today and it all began right here.